WHAT would I like to try? Not even a “WOULD you like to try something?” Clearly she knew that I was here for the party. Well thankful for my liquor sample lady, I was able to test out something that I’ve been meaning to share with you all – CHOCOLATE WINE. When I first heard about this concoction, I almost asked sample girl if she had an IV that could just inject me with this stuff. I mean, if this isn't going to send me to Betty Ford (and Reader Dana already hasn't), then I don't know what will. However, after trying it, it seriously tastes like Baileys, but with less alcohol content (12% in this wine vs. 14% in the Baileys). I wasn't that crazy about it. The hubs may be the better judge of this. Sample lady wasn’t any help to explain how this liquid is possibly made with grapes. So I consulted my BFF Google. I found a blog called Ladies with Bottle. 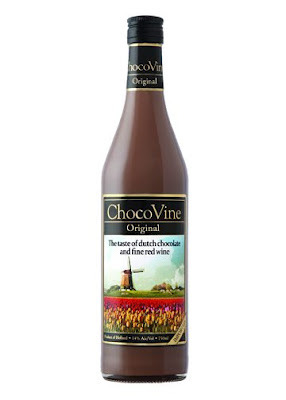 They explain that there are two types of Chocolate wine – Port-style wine infused with dark chocolate OR wine mixed with cream and chocolate (I think I had that option – again, Wine lady, NO HELP). If you don’t trust the Ladies with Bottle, The Washington Times says similar things! 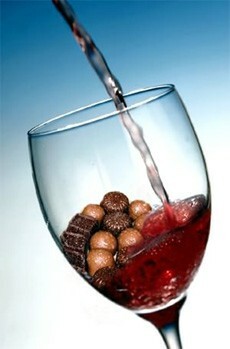 Much like a Baileys, I’m seeing that you can mix the chocolate wines with vodka to up the booze content. Another true story. I had so many bottles of wine in my hands, that I forgot what brand I sipped. I THINK it was a PA made wine, but regardless, here are a few options.